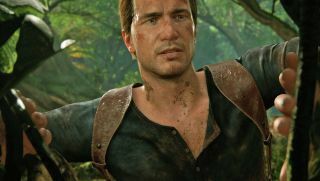 Is there life after Uncharted for the PlayStation 4? After ten years of large body counts, forgettable villains and the occasional pithy quip, the world of Nathan Drake and the Uncharted series has finally drawn to a close - we won't reveal just how it ends (although you should check out our review if you need any more convincing) - but it's safe to say Nate's story has come to a close. The question is, with arguably its biggest exclusive franchise now wrapped up, what does Sony have left to contend with Microsoft and its momentum-gaining Xbox One? This year we're going to see Gear of War 4 bore its way onto the scene, while rumours suggest we'll be seeing the return of Forza Horizon 3 before 2016 is out. Not to mention Rare's MMO-style pirate simulator, Sea of Thieves. Sure, they're not Halo or Fable, but they're recognisable franchises from developers who still hold enough weight to do good numbers for the Xbox One (and the next iterations of Xbox rumoured to be revealed in less than a couple of week at E3). So what does Sony have left to draw, and will these games be enough to keep PlayStation 4 on top as the eighth generation begins to mature? Well, let's start off with the delayed elephant in the room - No Man's Sky. The two-month delayed and death threat-inducing project from Hello Games has proved something of a critical darling thanks to the studios indie roots, its mind-bendingly big procedural universe and that magic only sci-fi dogfighting sims can conjure. NMS certainly looks like it could make some good numbers for Sony (especially considering it's getting a PC release too), but has it got the longevity to prove a platform-leading franchise? NMS's biggest problem is classification - is it a survival game? An exploration game? A dog fighting game? Uncharted was always an action-adventure game, plain and simple. Man with gun shoots other men with guns, climbs a bit, shoots more men. Easy to market, easy to sell. NMS has many faces, straddles many genres, and could prove a tough sell to the mainstream. Next we have something of a wild card - Horizon: Zero Dawn. Another critical darling upon reveal at last year's Sony conference, the PS4-exclusive comes from Killzone creator Guerrilla Games. With a strong female lead, the eschew of guns in favour of bows, a world reminiscent of the criminally-overlooked Enslaved: Odyssey to the West and - wait for it - robo dinosaurs, Horizon could well prove a dark horse for Sony. If it offers a memorable story - a barometer almost every game is judged in the wake of Naughty Dog's masterful latter catalogue - and an open-world that feels justified in its breadth and content (no, we don't want to collect feathers or scale radio towers to unlock the map), Horizon could be Sony's next flagpole franchise. So what about some of Sony's existing franchises? Can these old titans return to form and prove even greater in 2016 and beyond? Ratchet and Clank, soft-rebooted and retooled for a new generation, proved that there is still an audience for its diet platforming gunplay, but it wasn't a knockout hit by any stretch of the term. Even back on PS2, Ratchet and Clank was a brilliant series, but it wasn't a system seller. Then there's the returning king, Gran Turismo. Well, Gran Turismo Sport, to be precise. In the wake of the series taking so long to get its entries out (shame on you, GT5) or coming out so soon after there was seemingly little difference in its content (again, shame, GT6) - not to mention the rise of the Forza series on Xbox - Gran Turismo has become something of an antiquated property. So Polyphony is going the route Codemasters went with GRID a couple of years ago with GRID: Autosport and tuning a new version aimed purely at racing distinctions. Thing is, even with series creator Kazunori Yamauchi confirming Sport isn't a spin-off but a main series entry, it still comes across as another Prologue. The Prologue entries were always slightly more generous demos dressed up as a retail product (with a price tag to match) so Sony is going to have to work hard to make GT Sport feel essential - especially in the wake of Driveclub's disastrous launch (and the subsequent culling of its studio). The Last Guardian could be Sony's saving grace - now that's it's finally on some sort of schedule and set to arrive this year - but Sony will need to overcome the sheer tidal wave of expectation that has surrounded this title for a near decade. It's also a title that will likely suffer the same fate as NMS - just how do you sell a game where you climb platforms and form a bond with a cross between a dog and bird. Make no mistake, TLG looks charming to the nth degree, but will it develop into a long-lasting series Sony can sell consoles with? With Street Fighter V, Firewatch, The Witness, R&C and Uncharted 4 all now out in the open, Sony simply doesn't have many other titles to fight what Xbox might be boasting by the end of the year. Nier looks and plays too much like a poor man's Dark Souls, while Dreams looks enchanting but ultimately a little too "out there" for real commercial supernova success. The same goes for The Tomorrow Children. Looks brilliant, but it's unlikely to have the selling power of Gears of War. A lot of this also comes down to marketing, and how much Sony is willing to invest in the wider profile of a new franchise. The last time Sony funded a new IP, The Order: 1886, the game became something of a flop, both commercially and critically. Thing is, Sony (a firm usually known for its savvy use of advertising) seemingly released The Order and left it to swim on the strength of its own merit. The fact it proved to be nothing more than a well-acted tech demo probably didn't help matters. Dreams could be a big seller (this is the studio that was formed from former Lionhead staffers who went on to give us LittleBigPlanet /and/ Tearaway), but it would need to be everywhere and presented as a creative suite where any game idea can be conjured.